Gaia Herbs Semi-Annual sale is happening now. Please place your special orders in the binder by the end of September when the order will be placed. The Co-op offers a 5% discount to seniors 65+ on the 3rd Saturday of each month. The next senior discount day will be held on Saturday, October 20. The next delivery will be available on Thursday, September 20th. The next order deadline will be Monday, September 24th, available on Thursday, Oct 4. The next order deadline will be Saturday, September 29th for delivery on Monday, Oct 1st. We will order when we meet minimum order requirements. An order was received on Thursday, April 29th. There is bread available in the freezer. An order was received May 3rd. A nice supply is in the freezer. Next order date in Sept-Oct Please add wanted products in the Direct Order book. 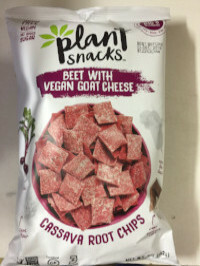 We’ve still got a few bags left of Cassava Root Chips. 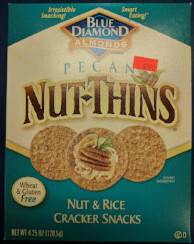 Check them out on the top shelf of the Gluten Free aisle. Pumpkin season is here! 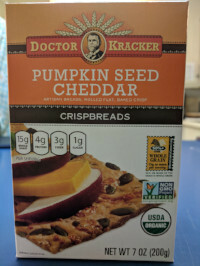 Try these crackers with some of the Happy Cow cheese we have. 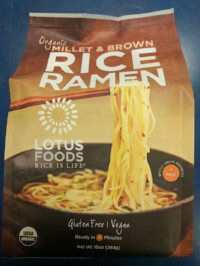 Lotus Foods Millet and Brown Rice Ramen are still available. Stop by and grab some while we still have them!